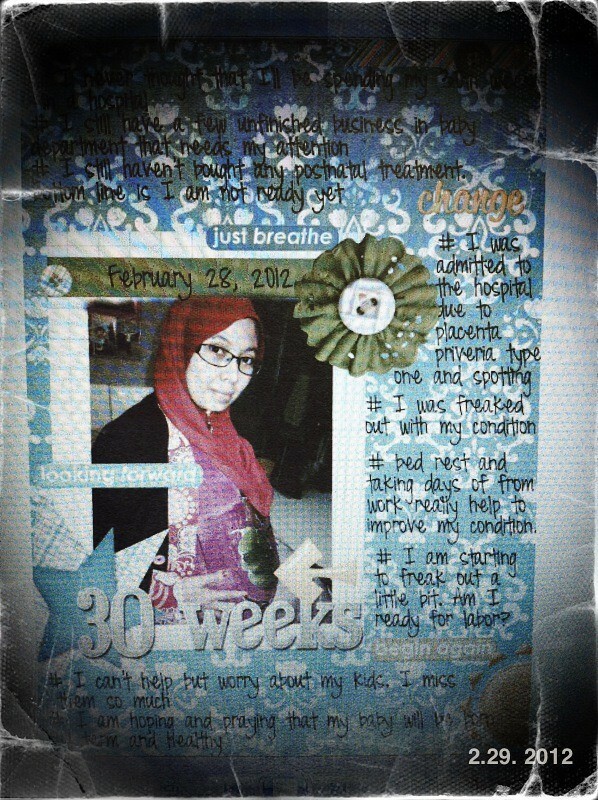 I am so happy that I have reached 30 weeks. 10 more weeks to go. I am nervous, anxious and excited all at the same time. Staying in a hospital for about a week was a wake up call for me. This is real and this is happening to me. The one that I have been waiting for, for about 10 years.